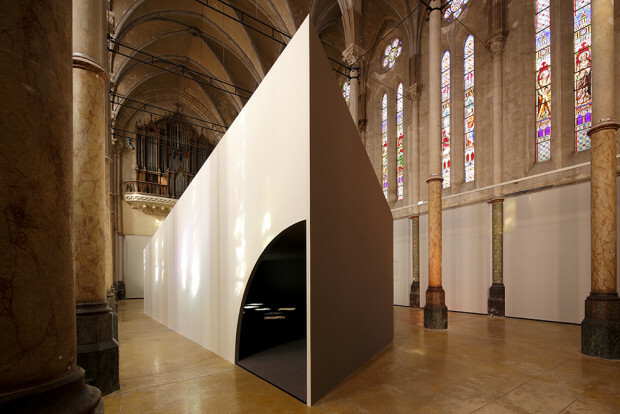 An architectural module ("YOD" Structure) designed for the exhibition dedicated to contemporary artist Carole Benzaken in the art center "Carré Sainte-Anne" in Montpellier. 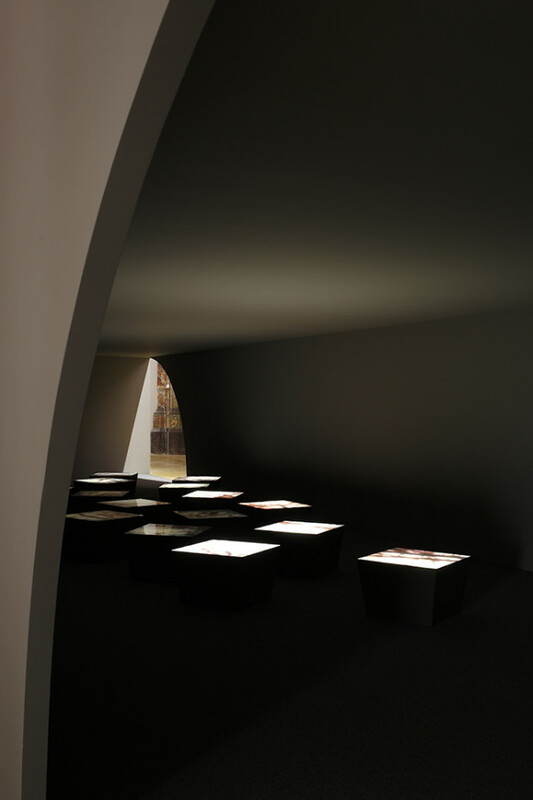 A space immersed into darkness, to contain a set of drawings which are embedded in backlit metal tanks with light variations. 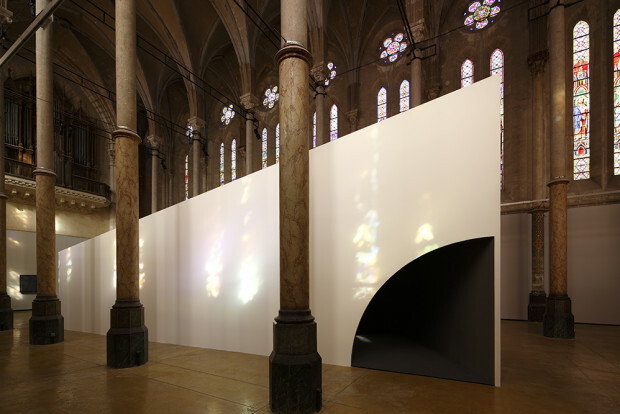 The "Carré Sainte-Anne" is a former neo-Gothic church converted into a contemporary art center. The concept was to design a case in harmony with the place. It arouses curiosity and announces the work exhibited. 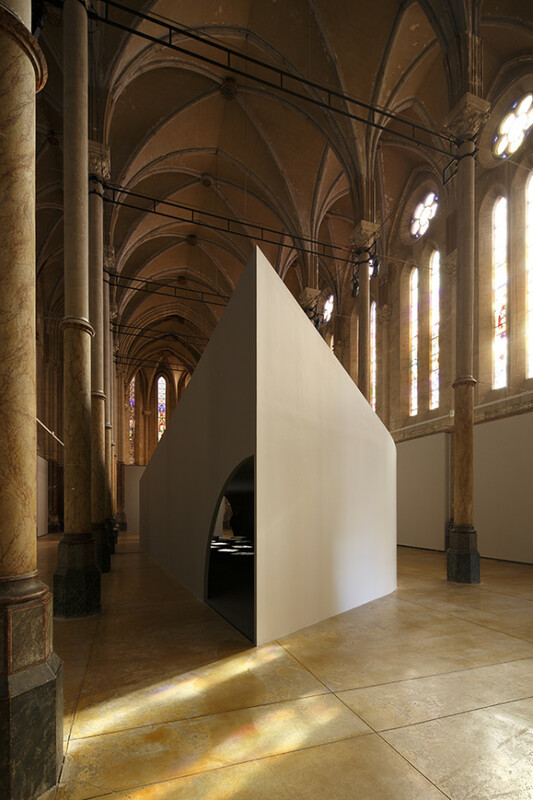 Through a dynamic volume and games of angles and curves, the project attracts attention from both entrances of the church. The outer walls capture the light and colors of stained glass. They contrast with the interior atmosphere. The walls, floor and ceiling are coated with dark materials or painted black. The place turns off and the works of art come alive. The project captures the attention, honors the place and gives way to the work it receives. 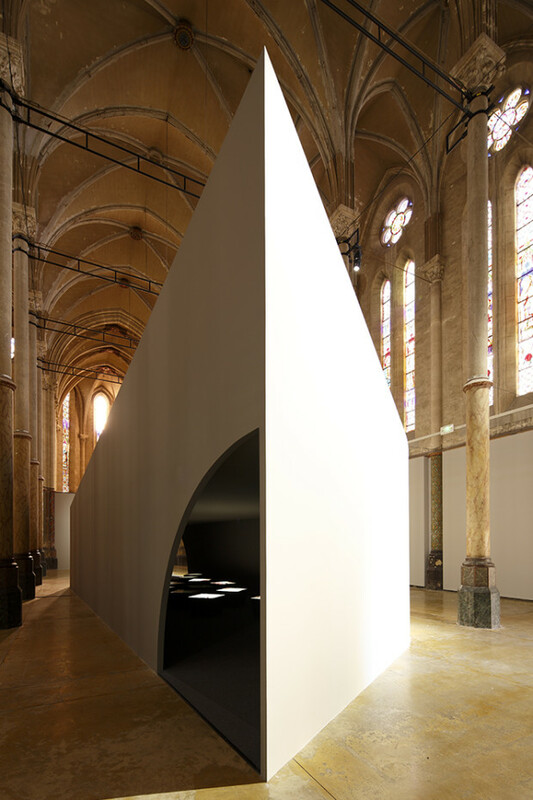 YOD is a cross-experience between the contemporary art that Carole Benzaken has been deploying for more than twenty years and the architecture proposed by the SCHEMAA workshop. 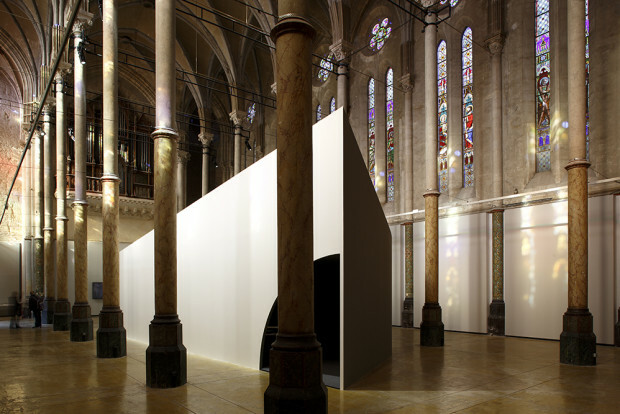 An invitation to reflective stroke in the Carré Sainte-Anne's den.